This entry was posted on August 30, 2010 at 12:04 pm and is filed under Articles, Mountain Bike Reviews, Mountain Biking, Reviews. You can follow any responses to this entry through the RSS 2.0 feed. You can leave a response, or trackback from your own site. Good review and, if I may say so, the kind we need more of if women’s bikes are to continue getting the attention they deserve. just fyi, the Myka FSR is not a 29er. 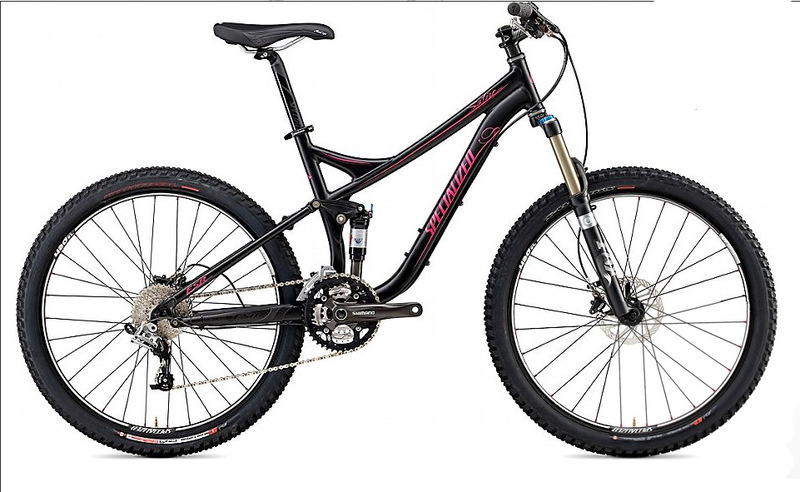 I have been unable to find any bike company that makes a women’s full suspension 29er. 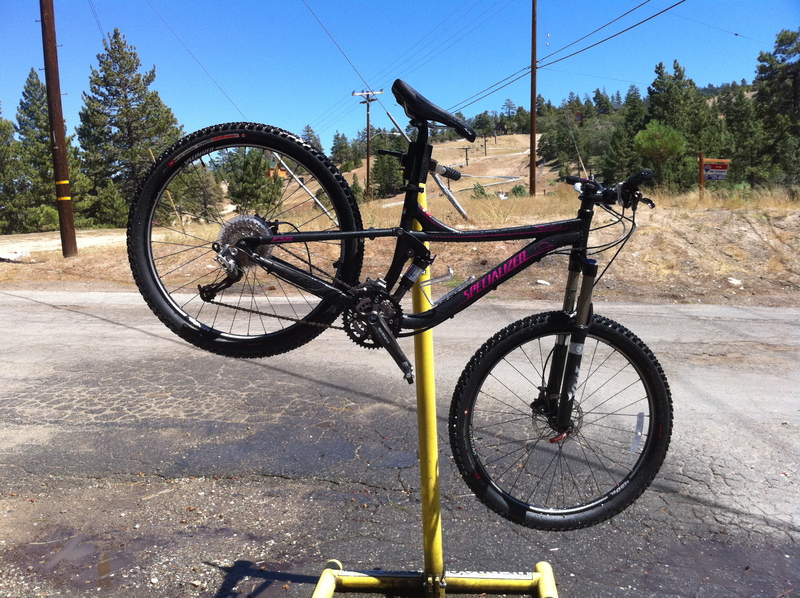 I just had a total blast (again) today on my ‘2010 Safire Expert- bought this spring after much indecision. This bike really likes to go downhill. For the record, I am also 5’ 4″ and around 120# and I got the Medium frame, small seemed too crunched…med…is a little big…but I’m loving this bike! Demoing it in Moab on the Porcupine rim sealed the deal. The “brain” seems worth the upgrade. I’ll bookmark your weblog and check once more here frequently. I am reasonably sure I’ll be informed lots of new stuff proper here! Great review! So I noticed that you are 5’4 and 120 #. You did not find the size small (small) for you? I am about 5’5 and 123 and every sales guy is trying to talk me out of the size small. Just curious your thoughts on that. I’ve always found that when mtbing, I like a smaller bike, because it’s easier to manipulate. But this bike fit me perfectly, and sounds like the size is appropriate for you as well.